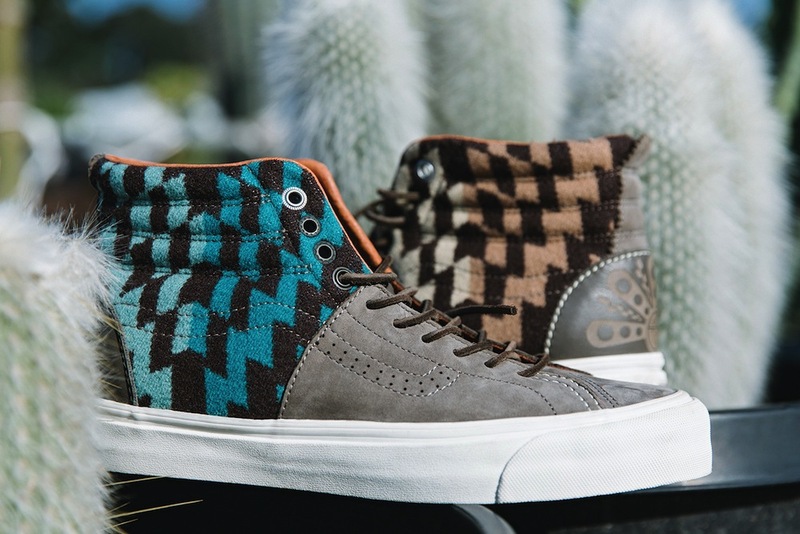 Vault by Vans x Pendleton x Taka Hayashi – WOW! 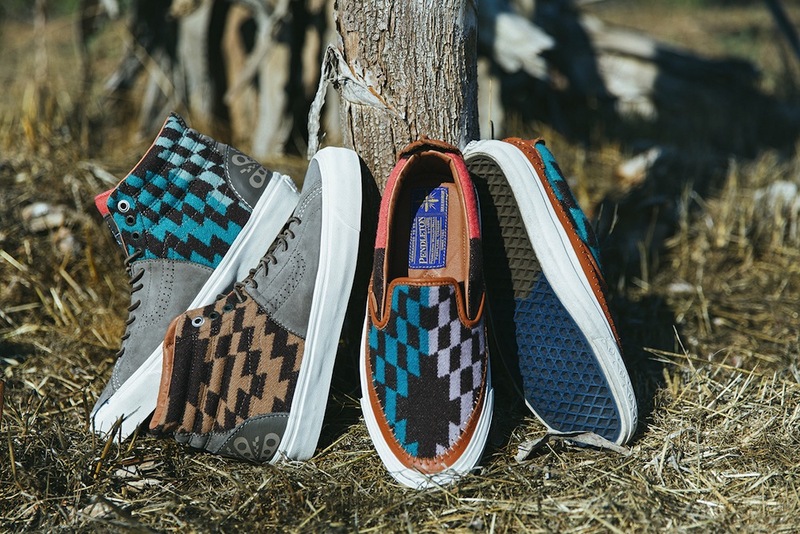 We love Vans but when Pendleton, Taka Hayashi and Vans come together for a collab it is always something special and we are still on the hunt for some of the previous collection. But this collection does not disappoint so don’t sleep and if you are it should only be in the amazing rug that is part of the collection. 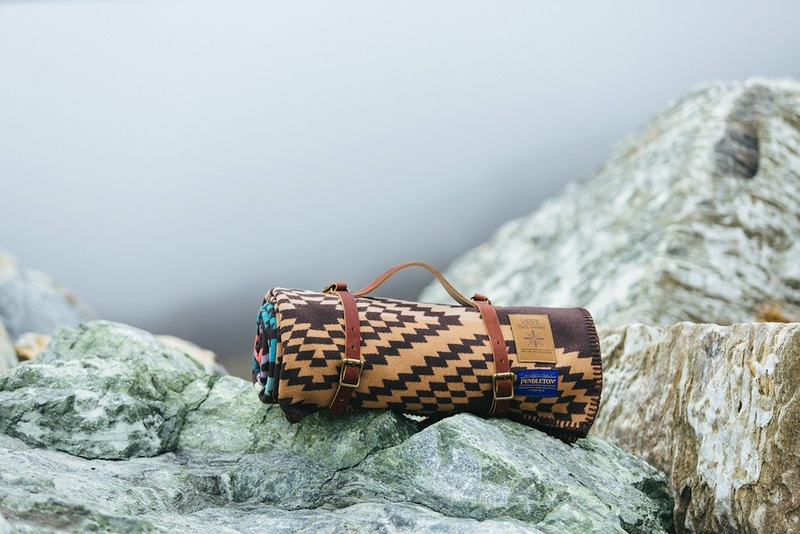 Vans’ premium label, Vault by Vans, and artist Taka Hayashi drop a three-piece line-up of deluxe product featuring Pendleton Wool. Renowned for his immaculate craftsmanship and high-end approach to sneaker design, Taka Hayashi continues to push the boundaries of the Vans footwear form in every project he produces. 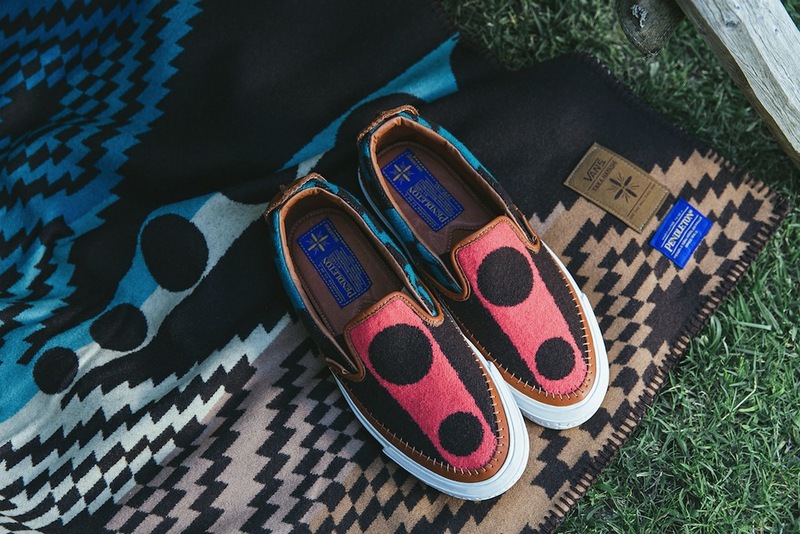 The Vault by Vans x Taka Hayashi collaboration is unlike any other that has come before it; this time around Hayashi created his own custom Pendleton Wool blanket and applied the patterned fabric to the TH Slip-On LX and TH Sk8 Huarache LX. 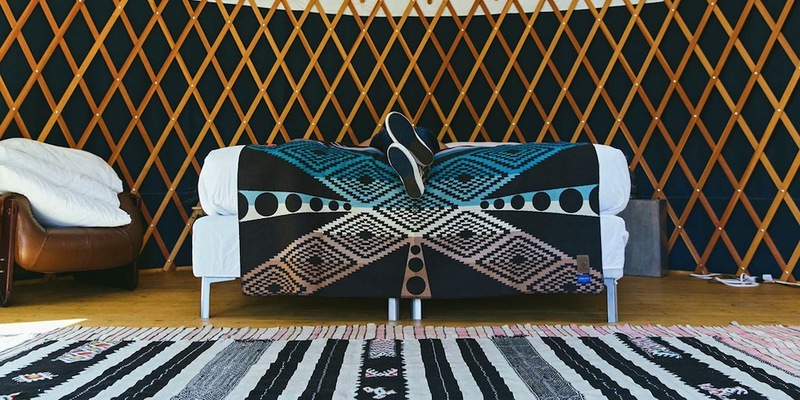 The Vault by Vans x Taka Hayashi Pendleton Blanket serves as the centerpiece of the overall collection, based on the colors and imagery from one of Hayashi’s earlier paintings. 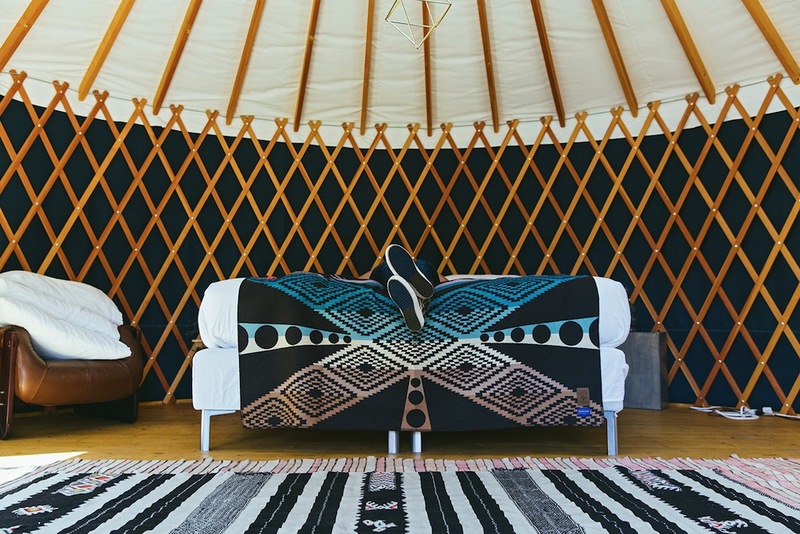 The Southwestern-styled motifs and tones of the blanket create a unique visual experience on every shoe crafted – no two pairs are alike since the swatches are hand cut and stitched to the uppers. 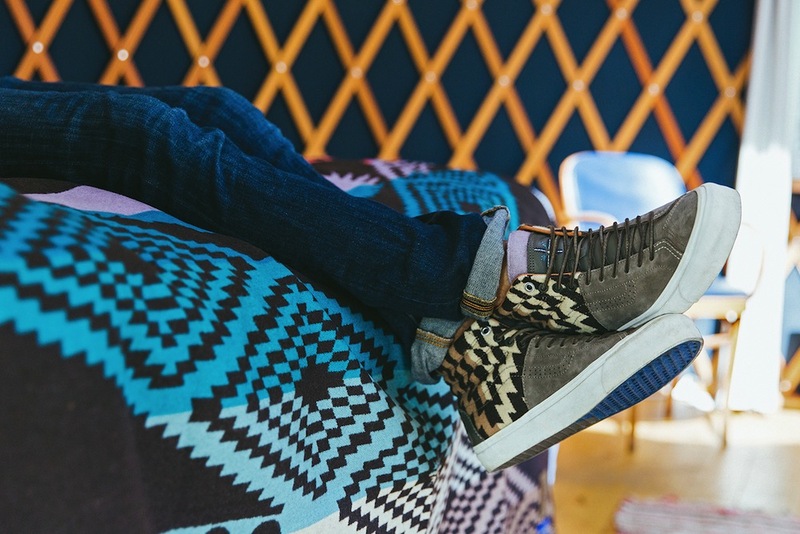 The TH Slip-On LX is one of the most luxurious re-interpretations of the Classic Slip-On profile, showcasing a moccasin-inspired aesthetic and saddle leather trim package atop an embossed midsole wrap. 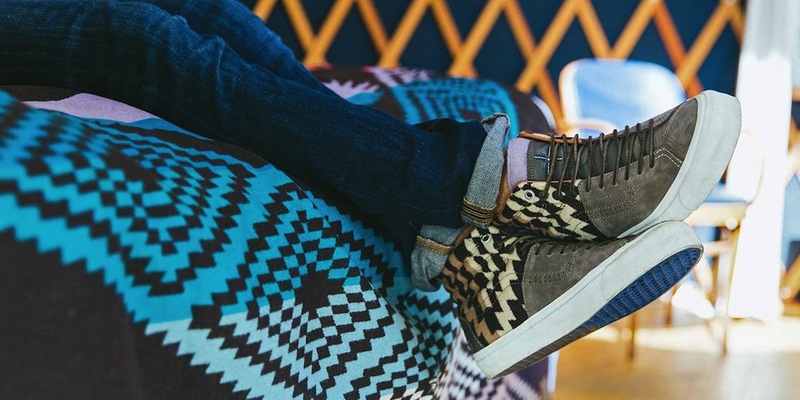 Another iconic Vans silhouette, the Sk8-Hi, is reimagined and refined by Hayashi to become the TH Sk8 Huarache LX. The diagonally dissected build of the TH Sk8 Huarache LX reveals a smooth, smoky suede exterior at the front end while the backside features an embellished, laser-etched heel counter and patterned quarter panels. Europe: Back Door, Baskets, BNIB Handels GMBH, C Concept Stores, Colette, Cream, Day One AS, Dover Street Market, Firmament, Footpatrol, Goodhood Store, Hanon Shp, Kapa Dokya, Naked, Office, Sivasdescalzo, Slamjam, Sneakerpimps, Sneakersnstuff, Societe Anonime, Starcow, Storm, The End, Titolo, Tres Bien, Veteran Shop, Victoire Barber and Shop & Vier. Asics GLIII x Hanon ‘Solstice’ – Blue Fire!